Winter is ski season in Vermont. It gets cold and it gets blustery. 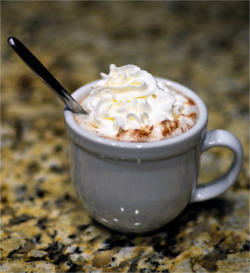 What better way to warm up than a mug of steaming hot chocolate! For something a little different (and really yummy), try the maple hot chocolate recipe below provided by Butternut Mountain Farm in Morrisville, a Vermont maple producer. Add cocoa, maple syrup, cinnamon and stir until smooth and combined. Top with whipped cream and sprinkle of maple sugar and cinnamon. 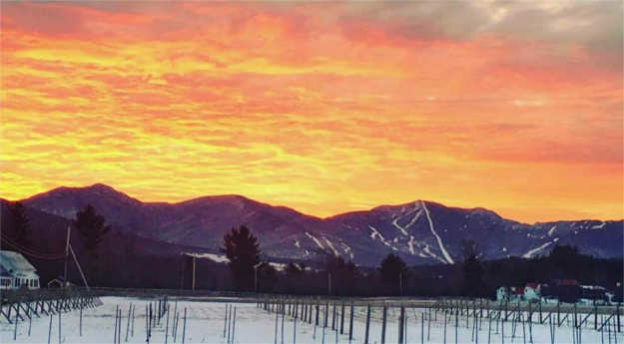 Haven’t planned your Vermont ski getaway yet? Check out our winter resort listings.